Thank you Charleston for your nominations! 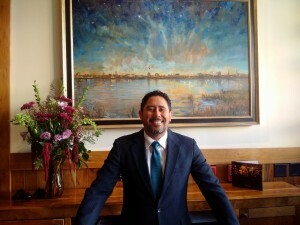 Congratulations to our restaurant manager, Luis Rodriguez for being voted Best Sommelier in #BOC17 Charleston City Paper. Before joining us at Stars, Luis earned a degree in Food and Beverage Management from the University of the Virgin Islands, became a certified Sommelier with the Court of Master Sommeliers, and honed his management skills at popular Charleston restaurant, Poogan’s Porch. He loves food, wine, our Wood Roasted Brick Duck (especially when paired with a Pinot Noir from our Artisan Tap Wine menu) and creating positive experiences for each of our guests. Don’t forget to vote for him and Stars for Best Rooftop until Feb 24!! We are very happy to have him on the Star’s team and part of the family!